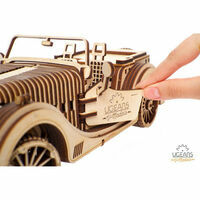 UGears Roadster VM-01 | Are you ready for an exhilarting drive? Are you ready for an exhilarating drive? Just like a real-life roadster classic! 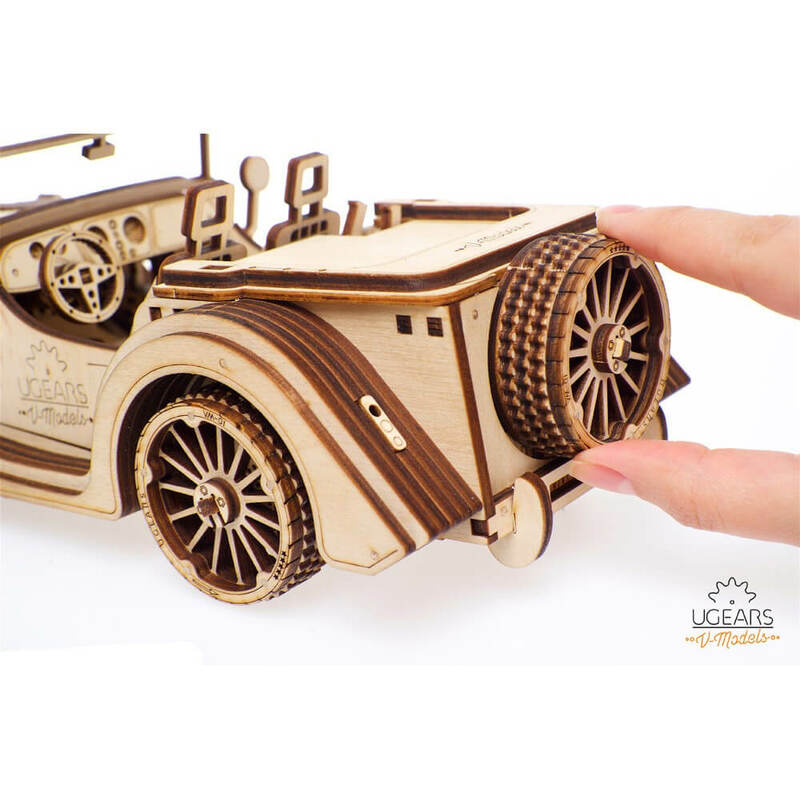 Take your friends and family on an exciting journey with the UGears Roadster VM-01! 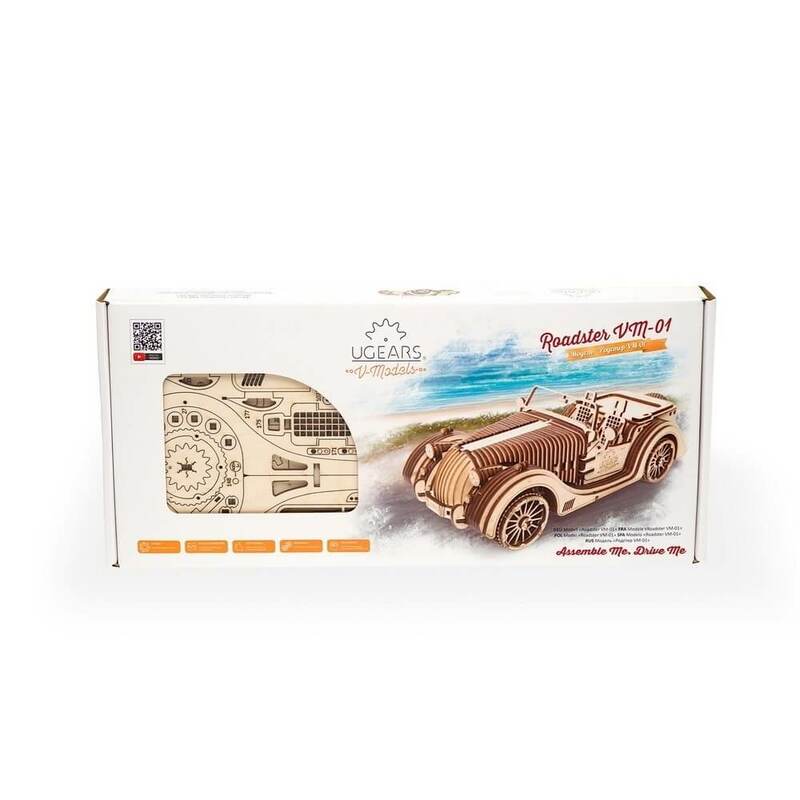 Introducing the classic, elegant and vigorously fast Roadster Sports Car with three transmission modes: forward, backward and idle. Use your very own hands to put the flat, laser-cut plywood pieces together to create a 3D mechanical marvel! 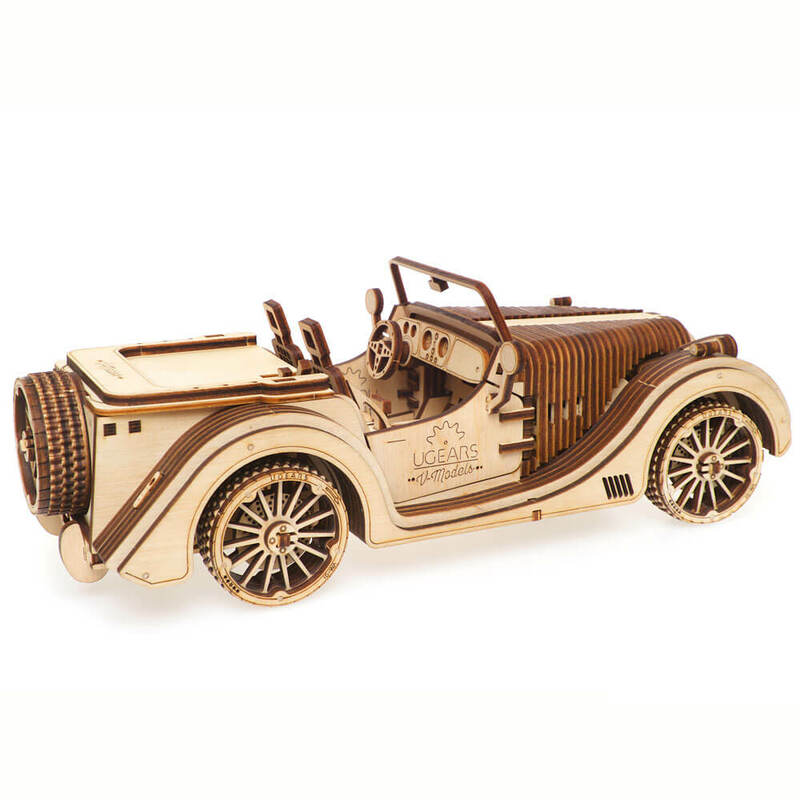 When your car is finished, you’ll definitely want to take it for a test drive. It can move up to 4m in just one winding! Open the hood to see the powerful V8 rubber band engine and moving valves at work, the driving direction can be adjusted at the wheel. 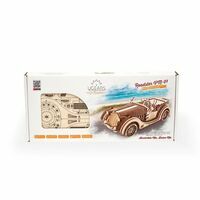 The suspension of the front wheels makes the Roadster look even more realistic! 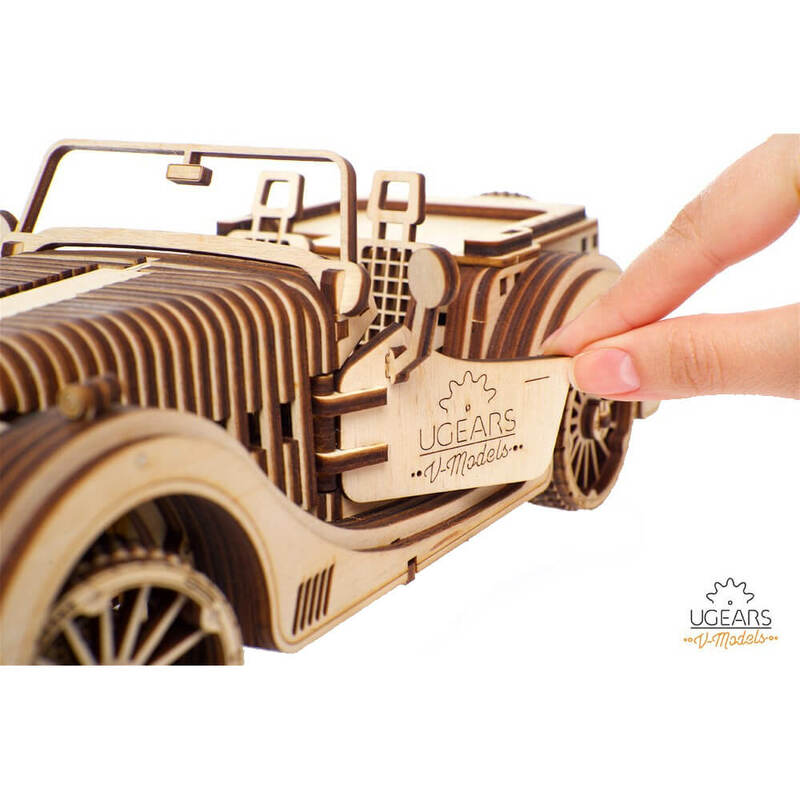 You will receive: 437 laser-cut colour-coded wooden pieces and easy to follow instructions in 11 different languages. Estimated time for assembly: 6-8 hours (difficulty 2 enthusiast).